Bliss for me is wiping ripe pear juice off my chin and watching the morning sunshine light up my kitchen. The aroma takes me back to my childhood, where I – being too small to shake the branches – foraged among the fallen pears for those uninvaded by wasps and bees. Sitting among the leaves, my knees caked with dirt, I would hold my treasures up to my nose and inhale. Then with a dollop of spit, I wiped the tender pear skin on my T-shirt. The first bite, sheer bliss. Not a guilty pleasure at all. I feel the same way about fresh peaches! The heady aroma, the juices dribbling down my chin ummmm — summer’s delight I anticipate yearly. Debra, the secret is in the first bite, I guess. Also the aroma. Thanks for commenting! =) Pears are kind of like the lottery for me. I love it when they are ripe and full of juice but I can never guess when a pear is at peak ripeness. So sometimes it is mush and sometimes too hard … but no matter … I keep on trying. 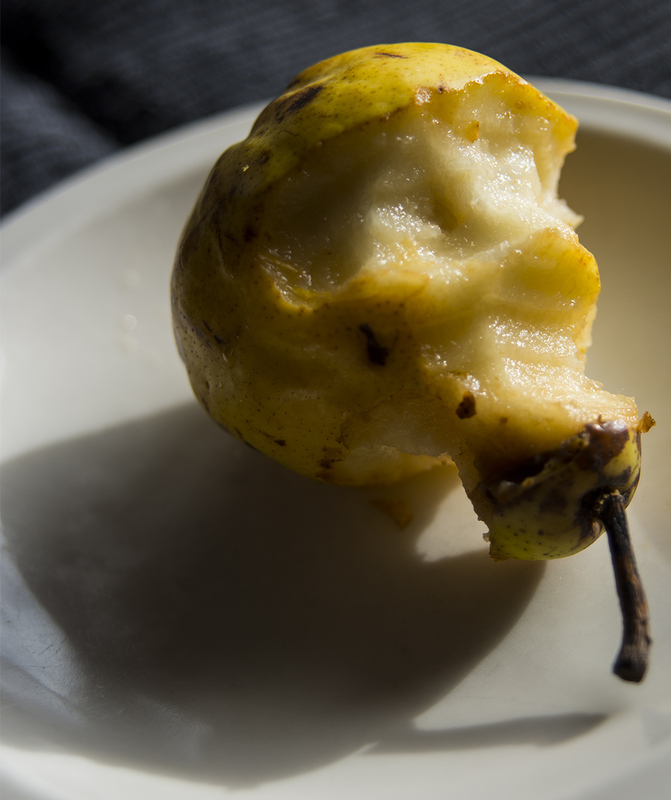 You sound like you might know the secret to selecting the perfect pear.